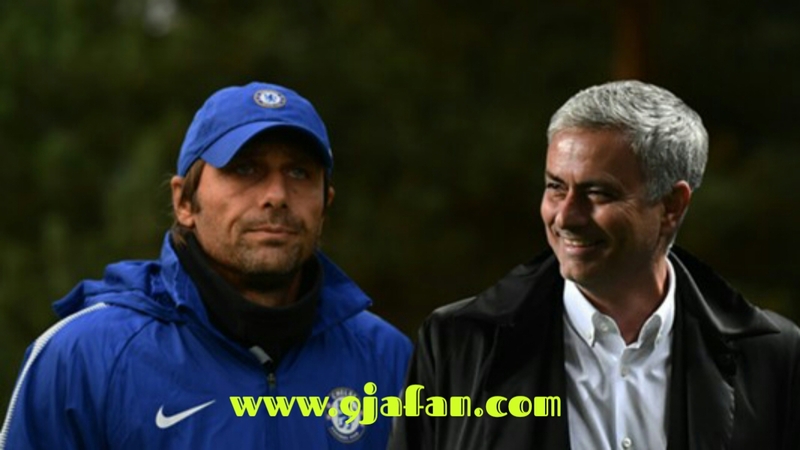 Home / Football News / Conte To End Up Like Mourinho At Chelsea? Conte To End Up Like Mourinho At Chelsea? Chelsea cantered to the Premier League title last season, propelled to glory by a 13-game winning streak that left the rest reeling. But the question was always lurking in the background, how well would they fare when European football was factored in? We now have the answer. Not very. That’s because the conditions for the victories last season cannot be replicated. 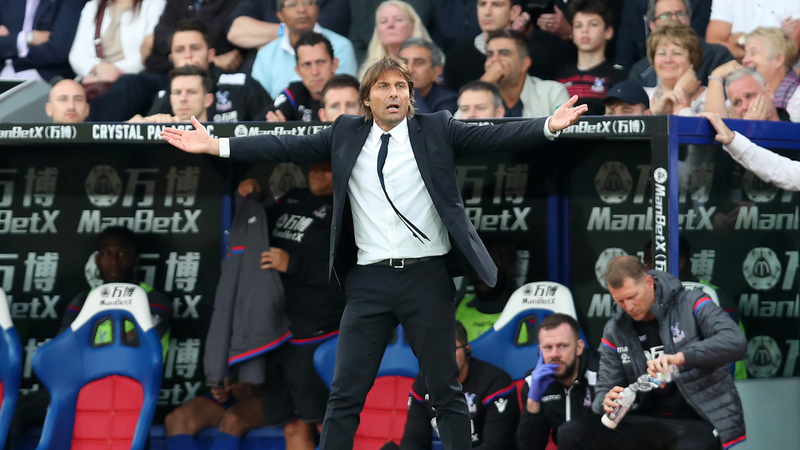 Conte alarmingly revealed on Friday that his squad are working up to 70 per cent less on the tactical and physical aspects in training due to the increased demands in the calendar. It is only natural that an on-field drop-off would follow. "I have my methods,” Conte said in response to reports that the Chelsea squad were wearied by their current training schedules. “They're the same as last season when we won the league. “Honestly, I think we are working maybe 70 per cent less this season. Maybe for this reason we are having trouble. On tactical and physical aspects. “When you play every three days it's impossible to work above all on the physical aspects. On the tactical aspects, you have to work less and pay less attention on every detail. We are doing this. A combination of factors has put Chelsea into their current downward spiral. Tomorrow's game against Watford one of the league’s biggest overachievers will bring one more chance to arrest it. But they are not themselves at the minute; not only in terms of personnel but also the football they are playing. Chelsea’s waspish play last season served them well. They quite often out ran and outlasted opponents from first minute to last. That kind of tempo seems beyond them currently and they suffered the indignity of seeing a 2-0 lead evaporate against Roma in midweek. They were too standoffish, occasionally far too deep and not nearly dangerous enough to put the Italians away. Worse, they have suffered three league losses already – to Burnley, Manchester City and Crystal Palace. That which was working last season is now malfunctioning. Conte can’t keep his squad fit. Key members of his team are dropping like flies with muscular injuries. N'Golo Kante is the highest profile absentee. Like Leicester before them, Chelsea simply don’t appear to be the same team without their one-man midfield. He was missing for the Palace defeat, as he was for the midweek draw with Roma. 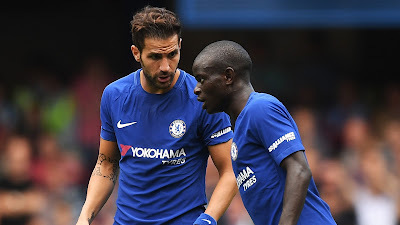 Cesc Fabregas and David Luiz have tried their best to staunch the bleeding in that sector but to no great effect so far. He cannot come back quickly enough. They have also had to do without Eden Hazard, injured at the end of last season on international duty with Belgium. He’s back now and scored twice midweek but he has yet to reach his consistent best. Against Manchester City, he was nowhere to be found. There are simply too many matches for Conte and his squad to negotiate this time around and the same kind of preparation is not working. Overall, though, Chelsea are still counting the cost of an uneven and negligent summer transfer campaign. Diego Costa and Nemanja Matic were permitted to leave – two of their best performers in the title win and have been replaced by Alvaro Morata and Tiemoue Bakayoko. Those two are good replacements for the departed duo but Conte does not have anything like the squad depth he needs for the season ahead. Davide Zappacosta has had to deputise for Victor Moses, who has also been struck down with injury. Danny Drinkwater has yet to feature for the Blues having been signed injured. Antonio Rudiger is doing plenty to impress the Stamford Bridge faithful when called upon and Conte must use him to keep the pressure off Gary Cahill and the overworked Cesar Azpilicueta. In short, the team is no better and neither is the squad. With that lack of resources Chelsea are attempting to do something which is twice as hard as last season, namely stay in the upper reaches of the top flight and fight the good fight in Europe. Last season, Conte managed to hold the lead in the title race from matchday 12 to 38. He’s already nine points off the pace set by Manchester City. It’s looking more likely that he could go the way of Claudio Ranieri at Leicester – sacked less than a year on from winning the title or even Jose Mourinho at Chelsea. Mourinho failed to make Christmas after winning the title for Chelsea in May 2015. Conte had a luxury denied to the rest of the competing coaches last term. He had a full week to prepare for most Premier League matches, no Champions League campaign getting in the way. His players had as much rest as possible between games and very few of them suffered long absences through injury as a result. The same approach is doomed to fail this time around because the conditions are not the same. For Conte’s sake, he better hope he’s not the last one to figure that out.